This is a strikingly unique book of poetry that offers hope and healing. This brave collection meets womens needs to examine their lives, and instead of becoming bogged down in past pain and loss, to become empowered to create the kinds of lives they want to live. Naffs words reach to the roots of womens lives: their mothers and grandmothers, fathers, grandfathers, siblings and friends, their evolution from childhood into womanhood, and the loves and losses and epiphanies they have along the way. Her poems reflect womens struggles to understand, change, and guide the direction of their own lives; and they capture the essence of how to walk the path of healing. While brilliant and varied in language, form, and style, these poems are so accessible that they go through the mind straight to the heart, often bringing laughter and tears as well as deep reflection. 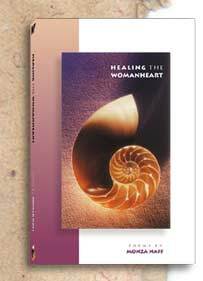 Healing the Womanheart is a richly satisfying book, both for those who love poetry and those for whom this is the first book of poetry they buy. 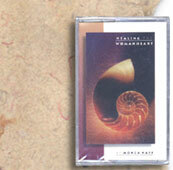 Also available is an audio cassette with the poet reading selections from the collection. Monza Naff Ph.D., of Oakland, CA, is a teacher, writer, and consultant. For twenty-six years she taught in universities, in Texas, Minnesota, and Oregon, most recently on the faculty of the Robert D. Clark Honors College at the University of Oregon in Eugene. She is the Executive Director of Inner Growth Services, through which she offers classes, workshops, and retreats in meditation and writing, spiritual formation and ritual making. For more information call Inner Growth Services at 510-655-8084 or e-mail Monza directly.